At RBB Systems we work with a wide variety of customers that present us the opportunity to build a wide variety of electronic assemblies. This requires us to master a variety of different methods and techniques to manufacture products. Over the past few months the manufacturing department has taken great strides to understand how common and costly mistakes happen, and how to prevent them in the future. This has led us to refine what we have termed the “Kickoff” process. The kickoff process involves gathering the individuals that will be working on a project in its current phase and going over what the instructions say and the best methods for building the product. This is where teaching and learning comes into play. The builders go through all of their documentation and explain to the person giving the kickoff what their course of action is and what the instructions are describing. After the assemblers have explained what they are going to do, the person giving the kickoff then asks questions to the builders about the process to make sure that it’s easily understood. Some of these questions may get an eye roll or a shoulder shrug, but some of them may force the assembler the look more closely at what they are doing. This in turn makes the assembler the teacher, and retaining the information much easier. 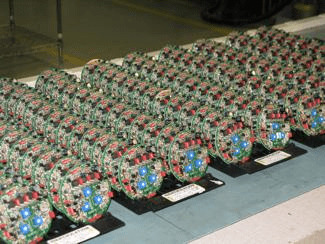 Many of our assemblies have polarized parts or special notes in the assembly procedures to allow builders to assemble them according to customer and IPC specifications. These notes are gone through in great detail to ensure that the assemblers clearly understand what is required of electronic assemblies. By doing these simple kickoffs we allow assemblers to get involved in the process rather than just being a part of it. This helps empower our employees and give them a greater sense of ownership and pride in their work. We believe that the more involved and informed our employees are the better the quality of the electronic assemblies they build. Over the past few months we have already seen the benefits of this. People are asking more questions and are not afraid to speak up when they see something that could be done better. Through this process we can begin to eliminate roadblocks or defects that have occurred in the past, and make a higher quality product for our customers. Employees who are on the floor getting their hands dirty can have some of the greatest improvement and preventative action ideas that can save our company time and money. However, the hardest part can be tapping into this resource. Through these kickoffs we are giving employees the opportunity to think outside the box, and bring solutions to problems that others may not have thought of. Some may say that the time spent doing kickoffs could be better spent building more orders, but the possibilities of catching mistakes before they happen, reducing rework, and reducing assembly time should more than make up for the time spent kicking off jobs in the long run. Building a wide variety of small batch electronics requires us to master certain manufacturing techniques for our diverse customer needs. 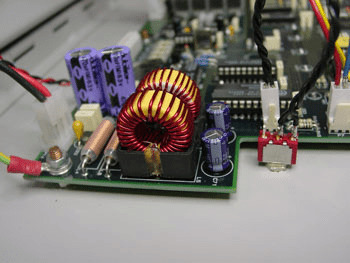 Discover the type of manufacturer that will best fit your needs with our circuit board manufacturing checklist. Jason joined RBB in 2010 as a Test Technician and is currently the General Assembly/Test Leader. Jason is currently working on obtaining a M.A. in Organizational Leadership, and enjoys spending time with his family.